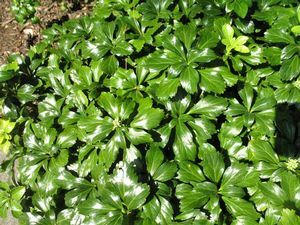 This Japanese spurge will enhance a dark corner of the garden with its rich and glossy evergreen leaves and small white flowers in spring and early summer. ‘Green Sheen’ is somewhat shorter than P. terminalis at 6-12” and more tolerant of heat and humidity. Although slow to establish the first season, it is adaptable to many soil types.